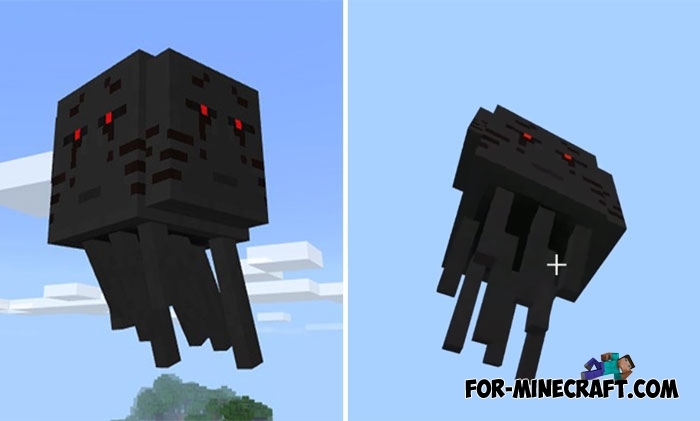 Minecraft Story Mode was based on the original game and many mobs were borrowed from MC Java but later the creators of the game made some changes concerning not only the characteristics. 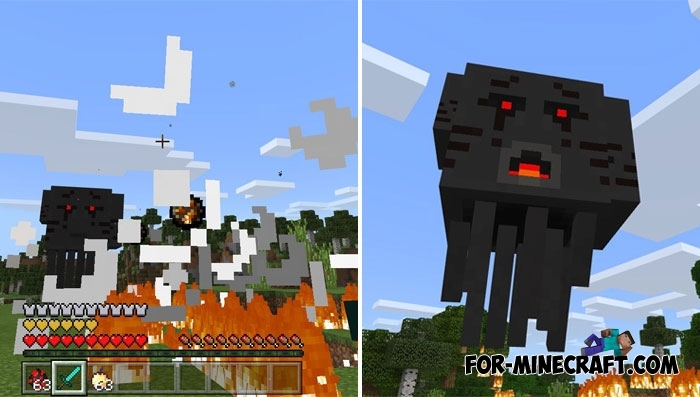 Ghast is one of the modified mobs that will be added to Minecraft PE if you decide to install this addon. Do not wait for a friendly acquaintance, the updated ghast looks pretty creepy and its strength and health are equal to the parameters of some bosses. So if you want to look at it more closely, then choose the creative mode or prepare yourself for a long battle. The most amazing thing is the three faces. If you pay attention to its head, you will see not only a grim expression, but also other similar faces from other sides. Such ghast see everything that happens around 360%. How to install Minecraft Story Mode Boss?